Across the US, different states are racing to pass laws legalizing online gambling, but all the individualized work by different states may end up pushed to the side as proposed national legislation comes into view. Currently, New Jersey is ahead of the game when it comes to gaming online. Governor Chris Christie signed legislation on February 27th authorizing online gambling in an effort to stimulate the state’s struggling casino industry and generate casino tax revenues. This marks New Jersey as the most populous state to approve online gambling following on the heels on Nevada and Delaware. In addition, several states are looking to band together in an effort to try and attract more visitors. Barton introduced an online poker bill in 2011 that failed to pass the house, but he has plans to introduce a new bill this spring. Opponents of the type of proposed federal legislation such as Barton’s are concerned that the changes would usurp the power of individual states and siphon off badly needed revenues. The online casino industry backed a federal effort put forth by Senate Majority Leader Harry Reid and former Senator Jon Kyl (R-Arizona) last year. The Reid-Kyl bill faced stiff opposition from the governors of many states who felt that the proposed bill unfairly favored Nevada by giving the state too much regulatory influence and too much of a cut of the regulatory fees. Federal efforts also faced opposition from religious groups such as the National Association of Evangelicals and the Southern Baptist Convention, which blasted the drafted legislation with criticisms when it was circulated last year. Senator Dean Heller (R-Nevada) says that he intends to make another attempt with the legislation along with Nevada Senator Dean Heller. When asked if the federal approach would ultimately be viable, Reid was hopeful, saying, “We should have done it at the federal level… we are going to try and figure out a new way forward. To date, the proposed federal legislation has only sought to regulate internet poker as well as prohibit other forms of online gambling such as blackjack. 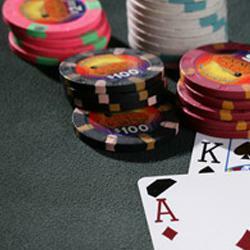 Nevada is set to be the first state to allow online gambling. The available selection of games will be limited entirely to poker. This will likely occur in the summer of 2013. The American Gaming Association estimates that about 85 countries have now legalized online gambling, and an estimated $35 billion dollars is being wagered worldwide each year. This figure includes millions of people living within the United States. The worldwide online casino revenue is expected to climb upwards of $10 billion a year by 2017—up from just $4 billion in 2011.